OK, a Google flavored billboard might not seem that exciting, but for a company with products that have always promoted themselves, it’s an interesting change from Google. This shot was taken in upstate New York, far, far away from the early adopter crowd or the inner-city types whom Google might normally pitch to. 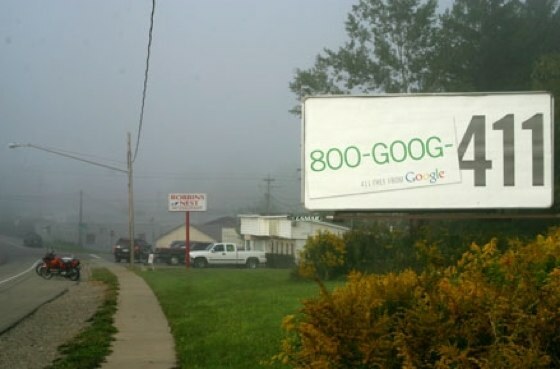 Is it a sign that Google is looking to better promote it’s more obscure services to middle America? Perhaps, or as Search Engine Land suggests it might just be a trial as well. Goog-411 launched in April 2007.